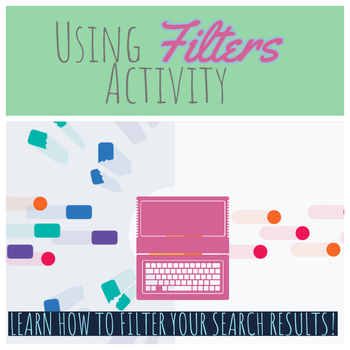 Teach your students how to use filter and advanced tools to refine their search results. Help improve their research skills by sending them on a scavenger hunt through the internet finding different information and proving their answer with screenshots and links. In this download you will get a slide with the link to make your own copy of the filters scavenger hunt!